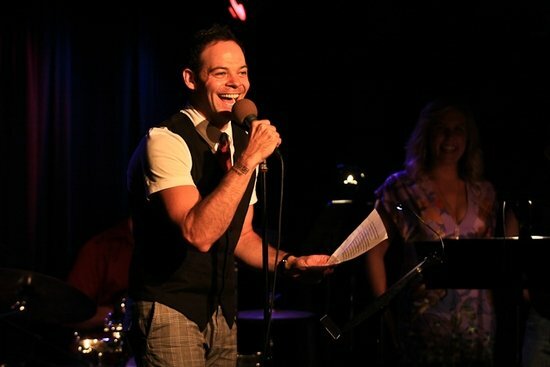 Tim’s voice is golden and if you are looking for a wonderful start to your Saturday night then I highly suggest checking out Tim Di Pasqua at The Metropolitan Room (34 West 22nd Street, between 5th & 6th Ave). Tonight I attended “Not The Same: The Music & Lyrics of Bobby Cronin” at one of New York City’s most famous cabaret spaces, The Metropolitan Room (34 West 22nd Street). Debuting mostly new music, Bobby Cronin continues to shine as a songwriter/composer. Many of the songs tonight were from upcoming projects while a few classic Cronin songs were mixed in such as “8:01” and “Dear Daddy.” His music speaks to many different levels and touches upon a multitude emotions. From realizing you are in love to recounting all the losers you’ve dated to pushing through your own self discovery, Bobby’s got a song to match. Assembling some of the hottest young talent around: fellow “Adaumbelle’s Quest” participants Erik Sisco, Kate Pazakis, Morgan Karr, the upcoming LaQuet Sharnell and Autumn Hurlbert as well as Andrew Samonsky, Celisse Henderson, Anne Fraser Thomas, Lisa Brescia, Marla Mindelle, Rachel Potter, Brian Gallagher, & George Psomas, these performers hit all the high notes with such skill & perfection. Definitely keep your eyes peeled and your ears perked because Bobby’s music is going to continue on and tonight’s performers are our future stars…so thank you Bobby for sharing your talent with the world and for having tomorrow’s future perform it today! Join fellow “Adaumbelle’s Quest” participants Bobby Cronin, Chad Kimball, Kate Pazakis, Erik Sisco, Morgan Karr, and upcoming participant LaQuet Sharnell for ONE NIGHT ONLY in “Not The Same: The Music & Lyrics of Bobby Cronin” this Sunday, March 28 at 7pm at The Metropolitan Room. Joining them will be Autumn Hurlbert, Lisa Brescia, Andrew Samonsky, Celisse Henderson, Brian Gallagher, Maria Mindelle, Ravi Roth, George Psomas, Rachel Potter, and Anne Fraser Thomas. There is a $15 cover charge + 2 beverage minimum. Reservations can be made by calling 212-206-0440.